How many people follow an advent calendar in December? Chocolate advent calendars are great and all but nowadays you can choose from so many different kinds of advent calendars specific. 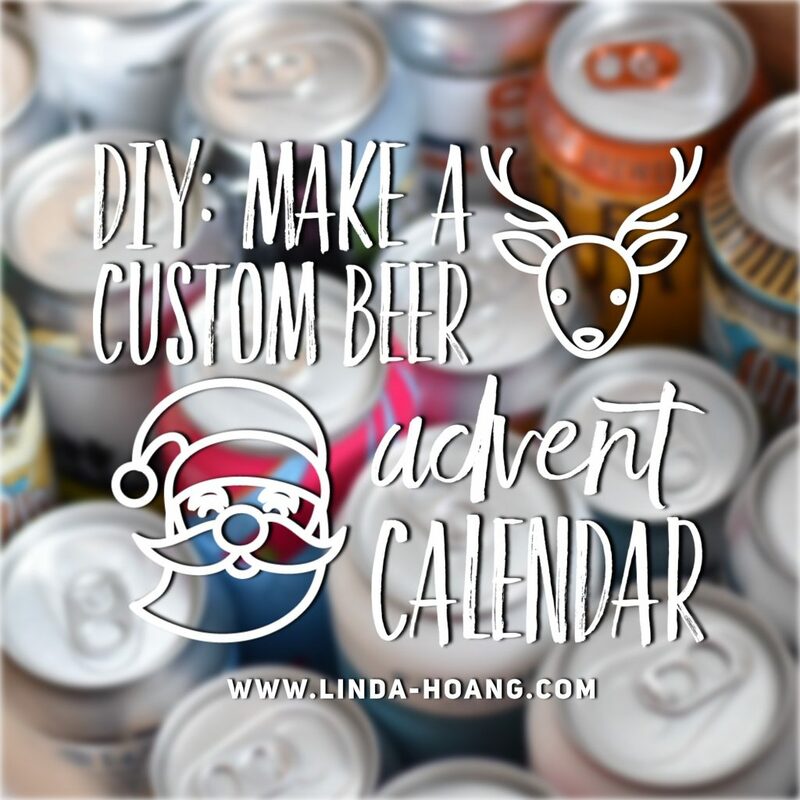 There are wine advent calendars, tea advent calendars, coffee advent calendars, beauty product advent calendars, and of course – beer advent calendars! 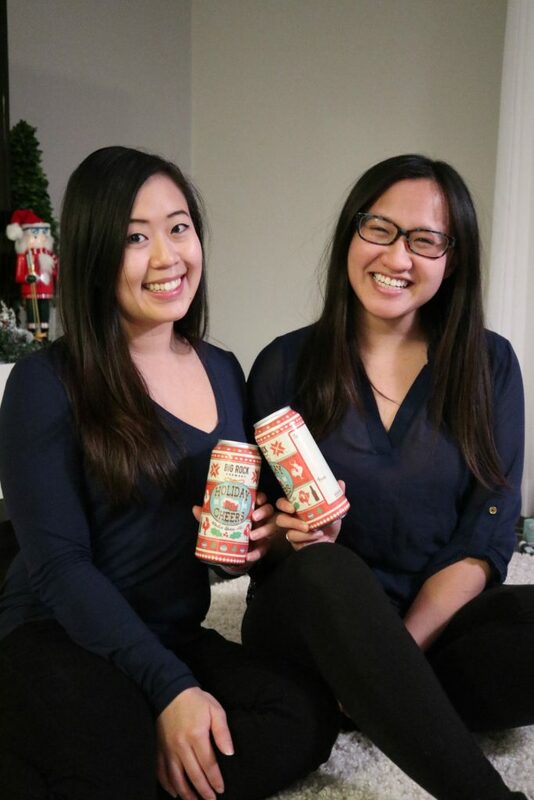 We selected made-in-Canada beers for our custom beer advent calendar! I had bought Mike a beer advent calendar in past years but found that the beer selection was never too great in the pre-packaged calendars. 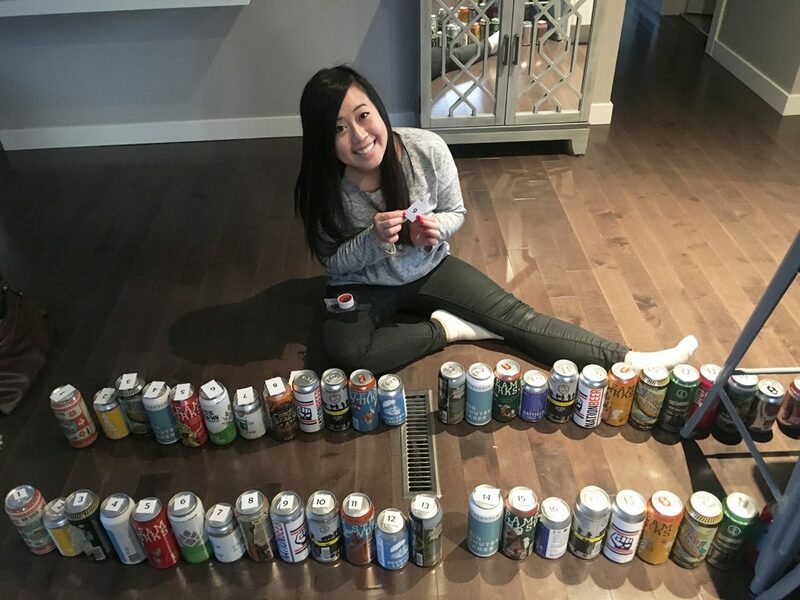 This year, my friend Andrea suggested we do our own custom beer advent calendar – an awesome idea that let us select exactly what beer we wanted for our partners! 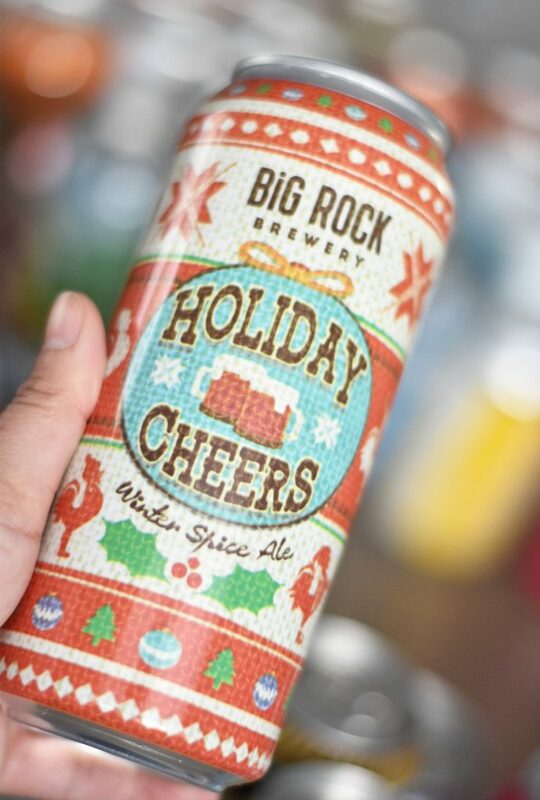 Big Rock Brewery Holiday Cheers – Winter Spice Ale was the perfect pick for Day 1. Andrea and I went to Sherbrooke Liquor to select our beers. 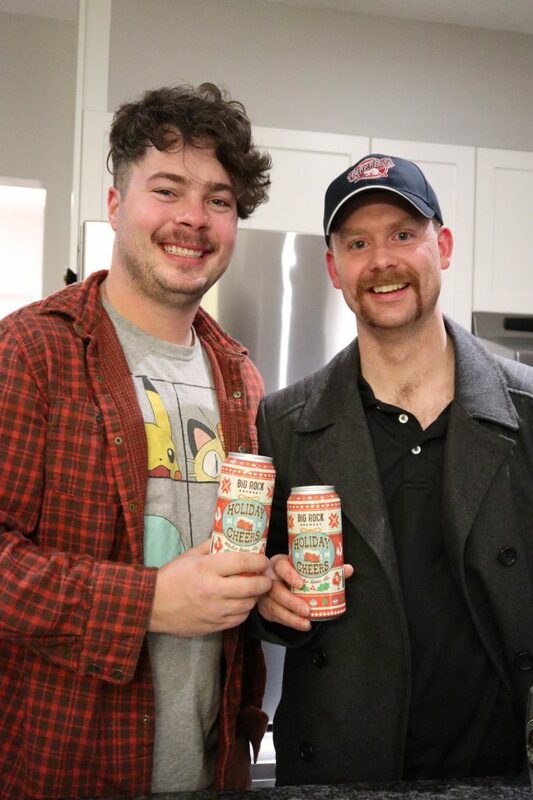 Our criteria – they had to be Canadian craft beers and they had to have interesting labels. 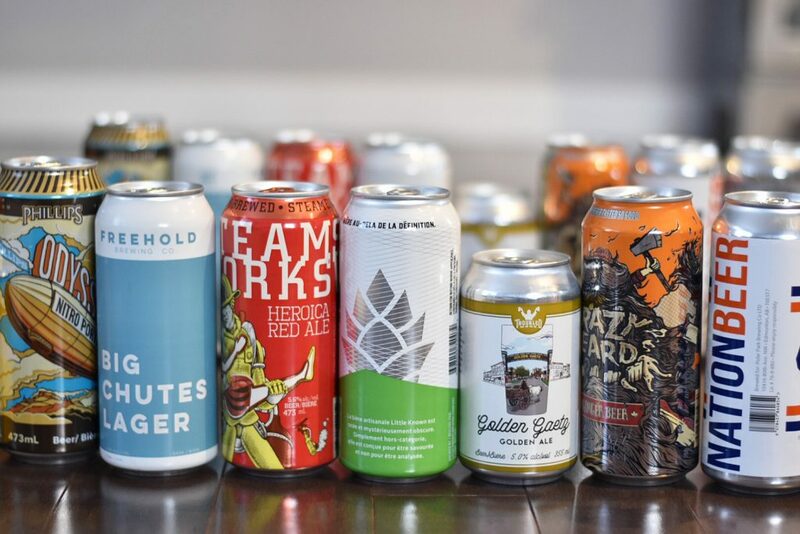 We selected quite a few beers from across Alberta, some from B.C., some from Ontario, and even got a Yukon one from a seller who was offering samples in-store. Put in the beers first to make sure they fit in one box! lol. There are different ways you can do a beer advent calendar. You can use a box, like we did. I’ve also seen a neat looking crate one (actually featured on Big Rock Brewery’s Instagram). A popular one that comes up on Google searches is a Christmas tree shape-stacked one. And there are also calendars that just have the individual beers wrapped and arranged together. Fun project with my friend Andrea!! We went with a simple box calendar, using old HelloFresh food boxes (measured about 16.5″ by 12.5″) which just fits 24 cans of beer (some smaller cans, some taller cans). We wrapped the outside of the box, but opted not to wrap the individual beers just with how snug they were in the box, you can’t really tell what the beer is until you pick it out of the box anyway. Just need to cut off cardboard pieces as separators for the different days! Our box was actually pretty low maintenance. 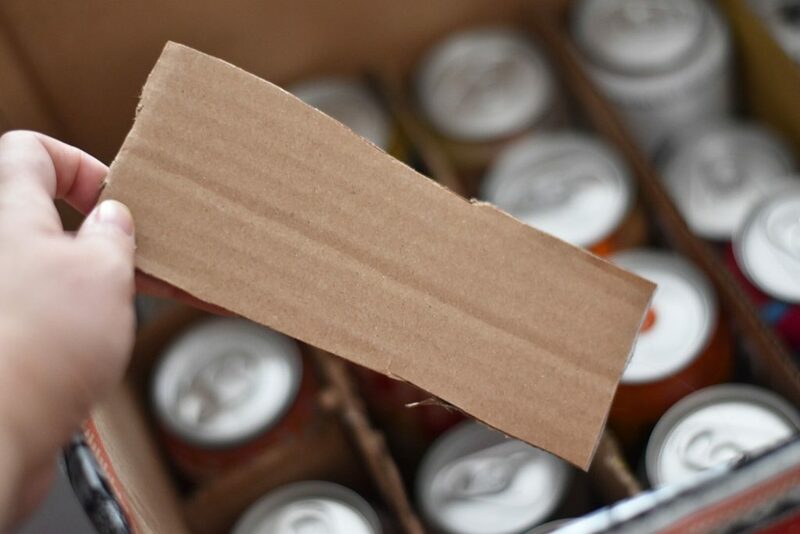 We cut out cardboard separators for each can, and then cut out “day” numbers and taped it on the top of each can. Ta da!! My custom beer advent calendar for Mike! Making a beer advent calendar was pretty quick and pretty easy. I’m thinking actually the individually wrapped beers in a crate or in a box without separators would’ve likely been just as easy! A successful advent calendar surprise! Making our own custom beer advent calendar was cheaper than buying a pre-packaged one. Ours netted out to about $85 for all the beers, where we tried to ensure all individual cans were between $3-$8. 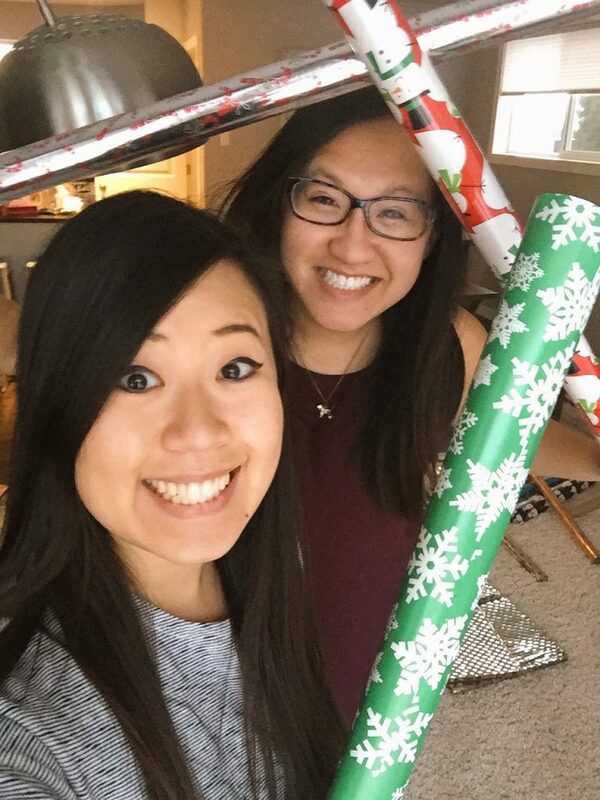 Add a few extra dollars for wrapping paper and assuming you have access to a box to place the beers. 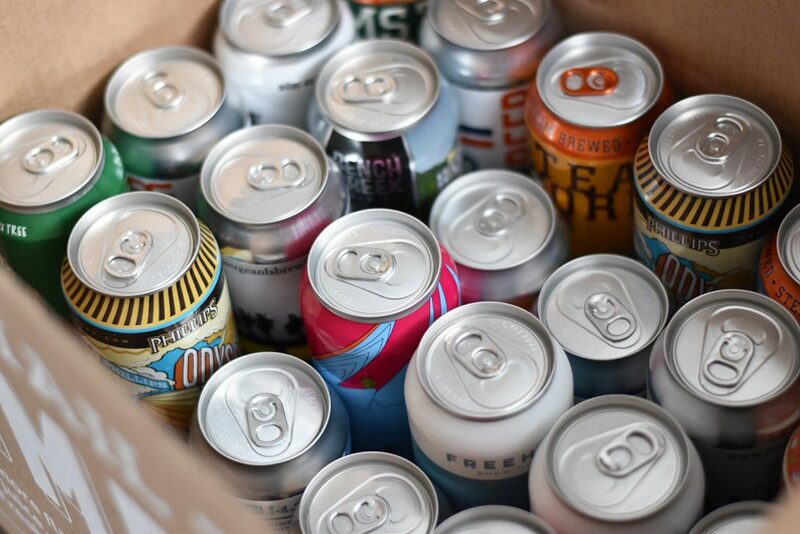 For comparison, purchasing one in the store can be between $120-$175 – and is not as fun because you don’t get to shop for the individual beer cans! Can we win spouses of the year for our custom beer advent calendar? ;) (We unintentionally matched in this photo lol). 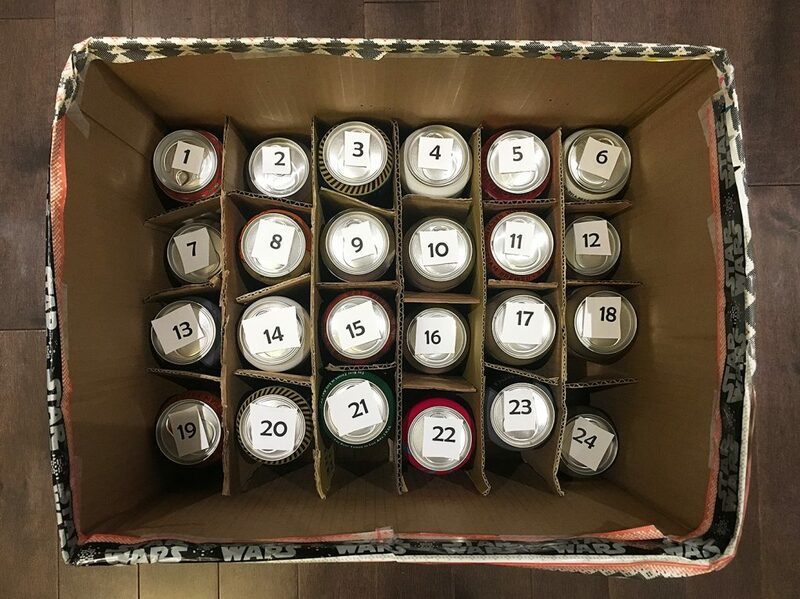 If you like the idea of putting together your own beer advent calendar – it’s not too late to do one for this year’s Christmas! I’ve been suggesting to a few people that they could still put together a quick 12 Days of Christmas beer advent calendar too. If you liked this post, feel free to share it! Pin + share this blog post!